Star Wars Action News and Marvelicious Toys are hosting a party Aug. 22 at Wizard World Chicago -- and you're invited! 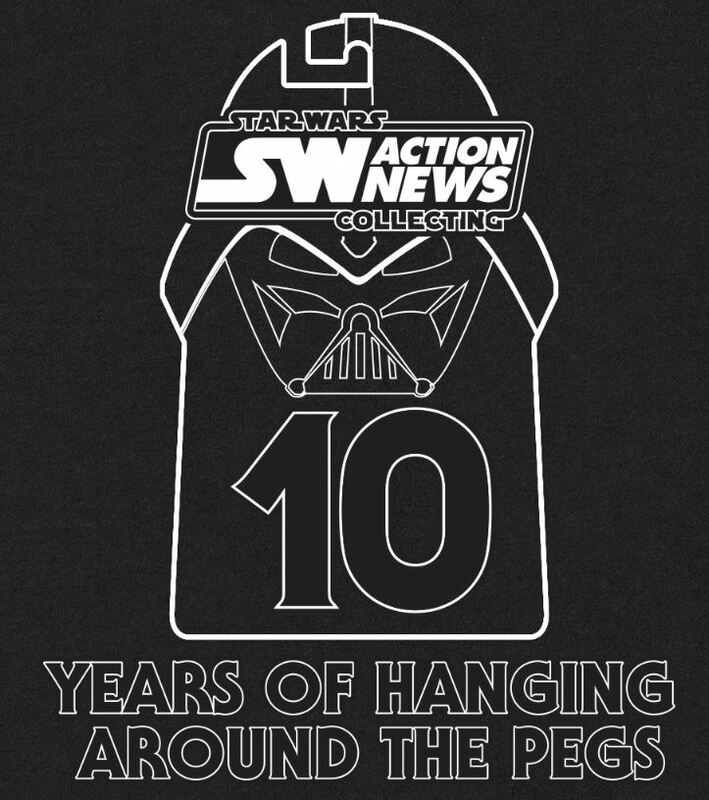 A long time ago… August 30, 2005, to be specific… Venganza Media, Inc. launched Star Wars Action News, the world’s first podcast dedicated to Star Wars collecting. In 2010 Venganza then began Marvelicious Toys, focusing on the toys, statues, and games based on the characters from the Marvel comics and movies. Over the past 10 years both shows have evolved from podcasting pioneers to a major force in the industry and the collecting community, even producing the official podcast for Master Replicas, a Star Wars and Marvel licensee. On Saturday, Aug. 22, fans are invited to join Star Wars Action News, Marvelicious Toys, and Now Playing Podcast hosts Arnie, Marjorie, Brock, Justin, Jerry, Daryl, Andrew, and more at the Star Wars Action News 10th anniversary bash during Wizard World Chicago. The party, also celebrating Marvelicious Toys’ 5th anniversary, will be hosted by the Hyatt Regency O’Hare. The event begins at 7:30 p.m., and will feature door prizes, appetizers, cake, and a cash bar. Tickets are priced at $15 for children 12 and under, and $25-$75 for adults. Adult tickets include bonus exclusive collectibles ranging from T-shirts to the exclusive Star Wars Action News badge and lanyard, plus a collectible coin previously only available to those who work on the show. In addition, all adult tickets enter you in the drawing for a huge selection of door prizes. Items have been provided by DorksideToys.com, Big Bad Toy Store, Kotobukiya, Hallmark, Venganza Media, and many more. Attendees can win items ranging from a Deadpool statue to entire waves of Star Wars figures, and more! Get your tickets now and follow coverage of these milestones at VenganzaMedia.com and its affiliated podcasts! About Venganza Media Inc. Based in Springfield, Ill., Venganza Media Inc. is a multimedia production facility and home to the Venganza Media Podcasting Network. Film fans and collectors worldwide know Venganza as the producer of Books & Nachos, Star Wars Action News, Marvelicious Toys, and the iTunes Top 10 movie review podcast Now Playing. Since its formation in 2005, Venganza has delivered thousands of hours of entertainment to listeners, while its staff and fleet of contributors have established the company as a premier source for film reviews, celebrity interviews, and collecting news for audiences of all ages.